WASHINGTON – The U.S. House voted on Wednesday to approve legislation that would reinstate Obama-era net neutrality rules that prevent internet service providers from meddling with web traffic. The legislation, dubbed the “Save the Internet Act” from Rep. Mike Doyle (D-Pa.) passed the House 232-190, largely along party lines. One Republican, Bill Posey of Florida, broke ranks with his party to support the bill. All 11 members of the North Carolina delegation voted along party lines, with Democratic members (Alma Adams, G.K. Butterfield and David Price) voting “yes” and Republicans (Tedd Budd, Virginia Foxx, George Holding, Richard Hudson, Patrick McHenry, Mark Meadows, David Rouzer and Mark Walker) voting “no.” Two seats – the 3rd and 9th districts – are currently vacant. 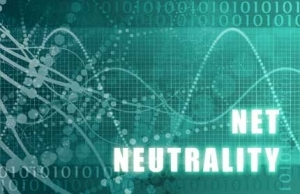 Under the Trump administration, the Federal Communications Commission voted in 2017 to toss out the net neutrality rules put in place in 2015 under the Obama administration. Those regulations barred broadband providers from blocking some websites or charging for some content. But the measure faces long odds in the Senate, where Majority Leader Mitch McConnell told reporters this week that it was “dead on arrival,” and that it won’t see a vote in the GOP-led chamber. The White House has suggested President Trump would veto the measure if it reached his desk. Doyle said Senate supporters of the effort have “some strategies” to build support for the effort. Doyle said lawmakers will undoubtedly face pressure from their constituents to back the effort. “This is big out in the country,” he said, and is only controversial in Washington, D.C. “This isn’t a partisan issue,” he added.